Well groomsmen are know to have some wild buck’s parties, but this mod of Aussie guys really took it to the limit! Celebrating in Thailand it depicts their race in TukTuks, with the groom out in front, mankini and all! 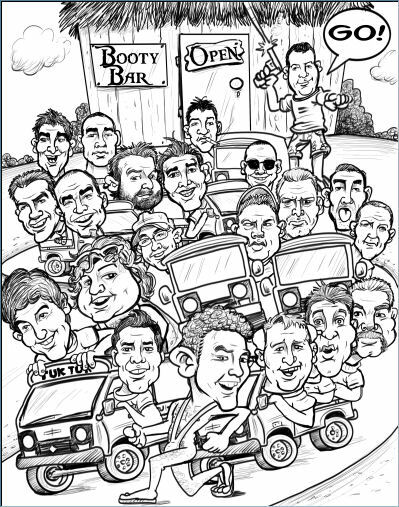 You too can get a fun group caricature drawn by any of our artists.